April is a great month for weddings and as a beloved friend of mine is married in a few days, I decided to dedicate this month's nail inspiration post to wedding nails and take a look at some bridal nail art ideas and step by step tutorials straight from Japan. 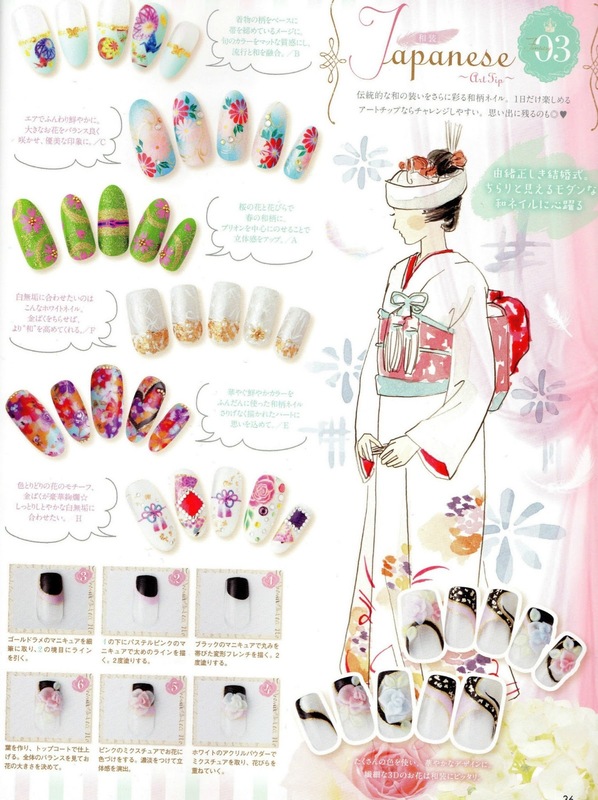 All the scans are taken from the latest issue of Nail Up! 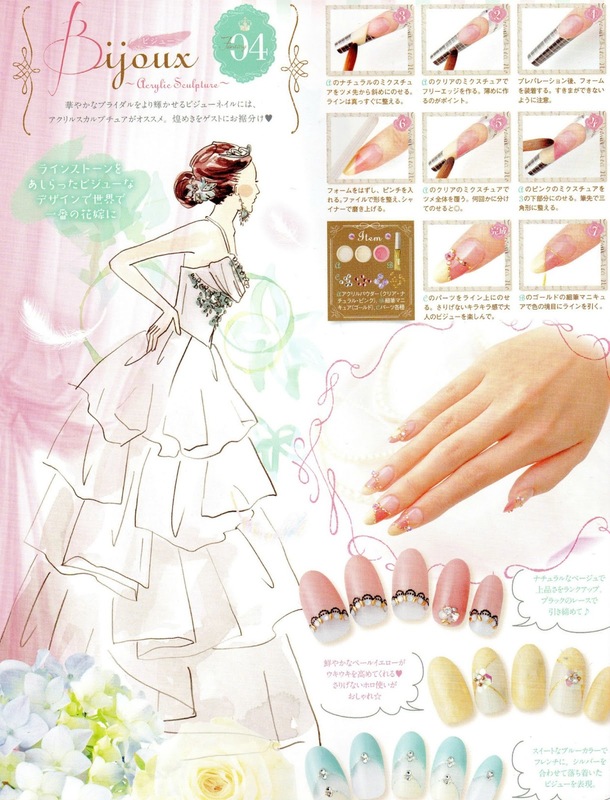 The latest trends are four when it comes to nails for brides. First we have the simple style. Then nails for brides who prefer more classic deigns. What do you think of these designs dear readers? 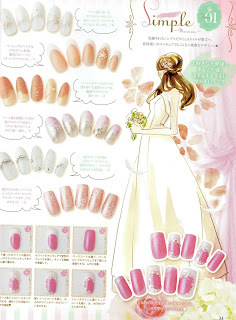 What nails would you prefer for your wedding? 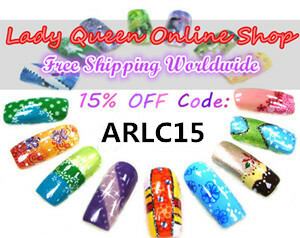 Simple or decorated with fun nail designs? As always you can click on the images for bigger versions of the images. 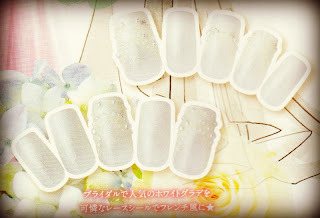 The copyright of these images belongs to Nail Up! , I just scanned these. And now it's time to announce the winner of my Kawaii Giveaway! The winner is Polish Freshie! Congratulations girl ^_^ I have notified the winner with an email. If I don't get a reply within 48 hours, I will pick another winner. Thank you so much to everyone who has entered. I hope you stick around as there will be many more giveaways in the future too. 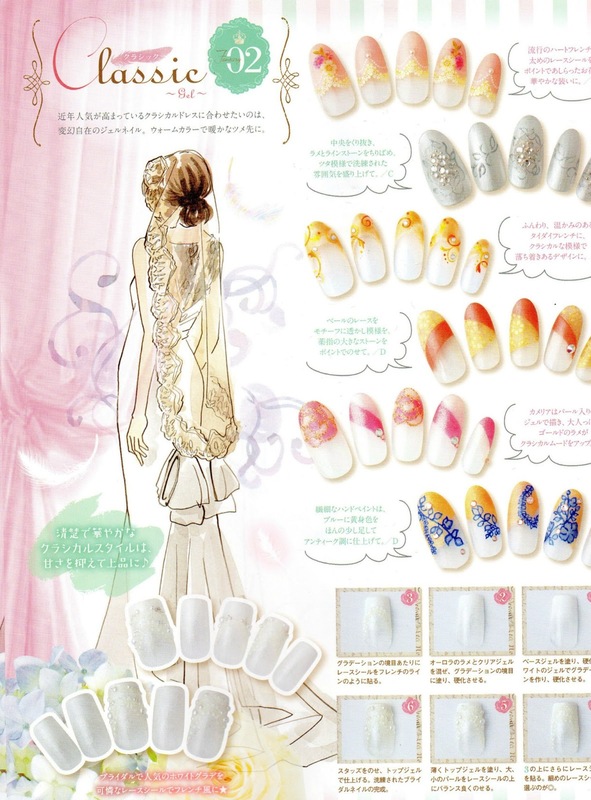 You know I am not too much into bridal nails, but some of these look very beautiful. 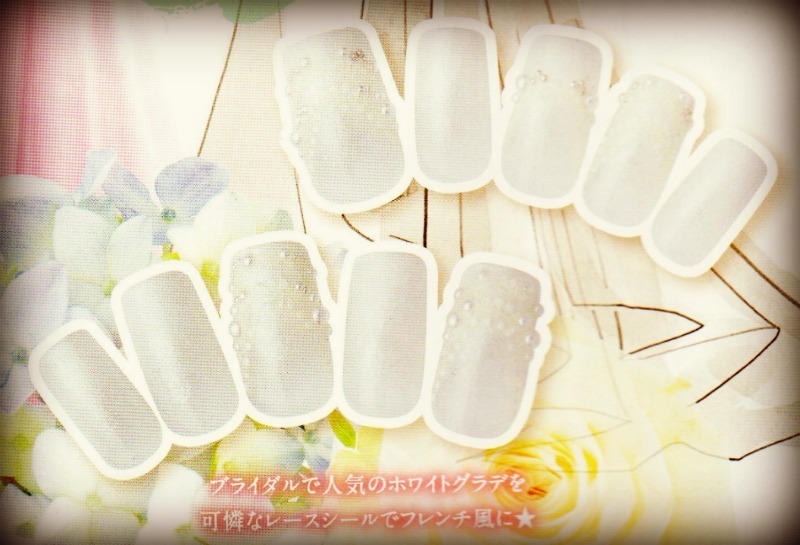 The japanese ones are gorgeous! 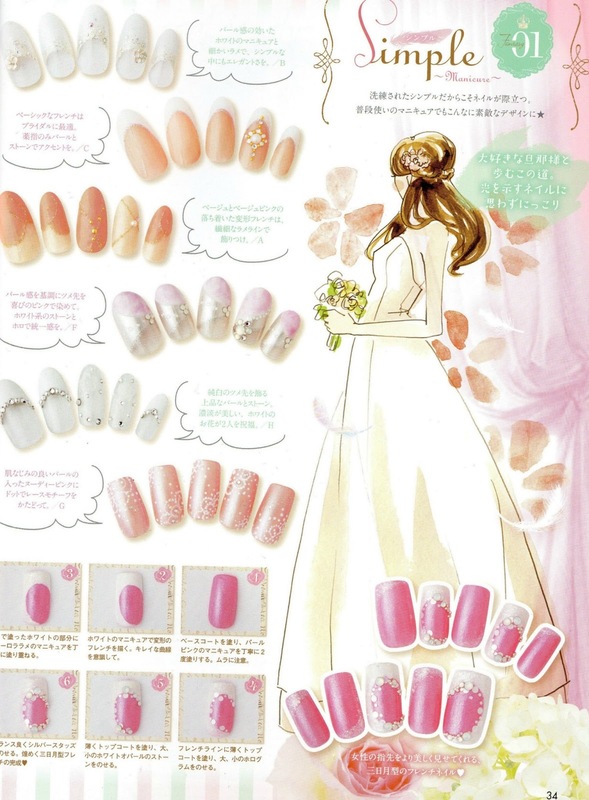 ah I see some very classy looking designs :D aww is she already getting married? gosh time flies .___. Hmm, their idea of classic is not like mine. 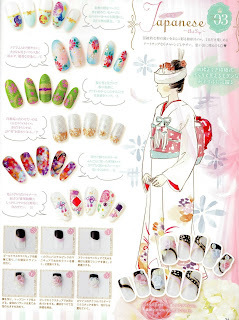 :) The orange and red and purple floral in the Japanese traditional section is my favorite.